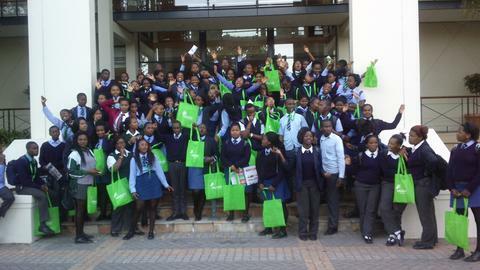 On Friday the 14th of March 2014, our grade 10, 11 and 12 learners of the Masi branch attended a Career Fair that was held in Rondebosch. This was a very special day for the learners as they got the opportunity to explore an unfamiliar environment while also gaining valuable knowledge of the various opportunities available to them. Attendance from the learners was extremely impressive and the general attitude amongst the learners was that of willingness to learn and determination to pursue available opportunities. 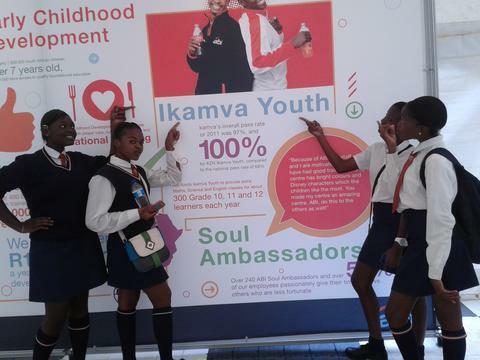 The Career fair was a great opportunity for the Masi learners to get exposed to the many careers that exist, learn more things and interact with learners and tutors from the other IY branches who also attended the Career Fair. Given the distance between the branch and the venue, by the time the learners arrived, many of the other schools and attendees were already on their way out, giving our Masi learners a greater opportunity to obtain as much information as possible. 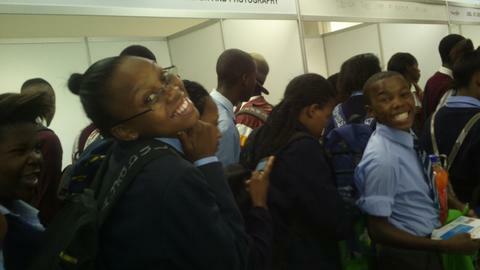 Going through the career exhibition the learners appeard to be having fun while also getting all the information they needed and more about all the different career choices available to them and the enterance requirements for each. It was a great pleasure seeing how being in an unfamiliar environment can assist with building an excitment to learn and grow. A report from the learners concluced that more of such events are wanted and needed for the learners in order to obtian more information about more opportunities. The beginning of the year is always an exciting time for IY branches as we usher the previous year’s Matrics into post-school opportunities, welcome new learners and tutors and together decide on the goals and outcomes of the new year. 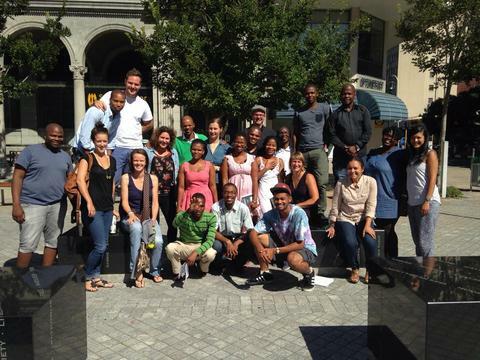 On the 8th and 9th of March 2014, Nyanga branch held its annual Strategic Planning Weekend (SPW). 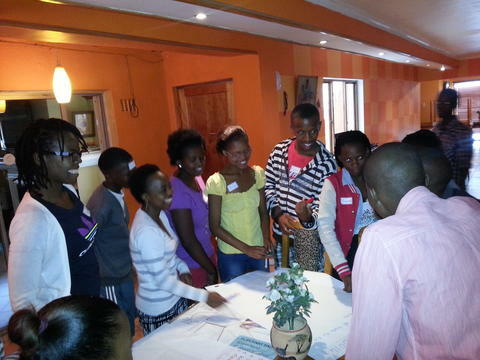 Staff members, learners and volunteers came together for 2 days to discuss the year ahead and what nyanganites should do to make 2014 a success. 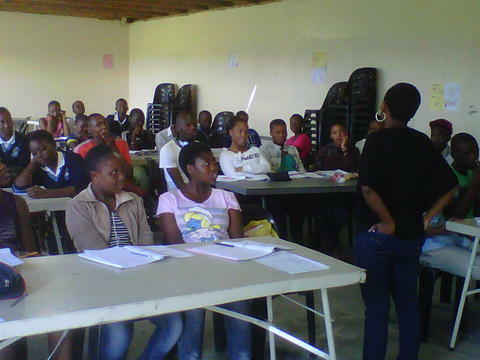 This year’s SPW was different from previous ones because the majority of learners who attended are new to IY Nyanga, having started at the beginning of the year. 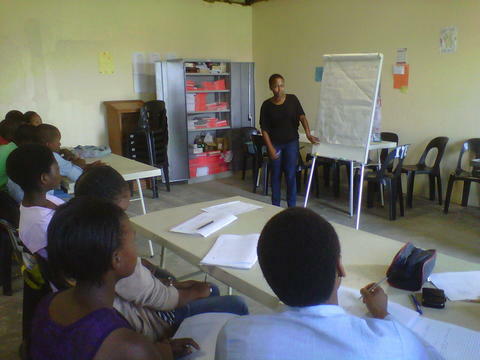 Furthermore, the weekend was facilitated by our Makhaza Branch Coordinator, Zukile, in line with IY’s value of collaboration and peer-to-peer support. As application season draws closer for our grade 12s, choosing the right courses to jump start ones career can be difficult and even more so when you don’t know who you are and where your strengths lie. This last Saturday, 15th of March our grade 11s and 12s were treated to a career planning workshop that went to the heart of knowing who you are so you can get to where you want to go. As a necessary component of academic readiness, career guidance is a vital step needed in making sure that learners are guided into suitable and realistic tertiary paths where their strengths can best shine through. These decisions, we all know can impact their future careers and even life choices, and at IY we recognise the need to expose them to the best career decision making tools out there. 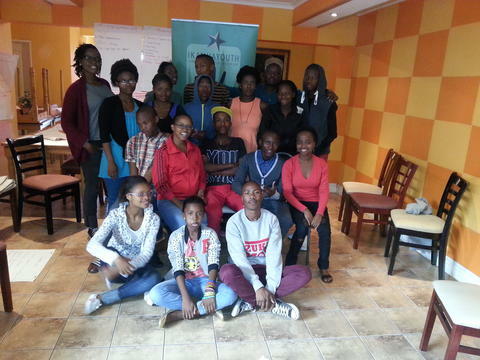 The introductory workshop by the renowned youth career coach Khanya-on-the-job did just the trick as our Ivory Park learners were treated to one of these motivating and awareness building exercises to help them get in touch with themselves and their true career paths. The message was simple and potent, find out and work hard to know what you love so you can do it. As the saying goes, “do what you love and you will never work a day in your life.” – Here’s to all the ikamvanites making the right decisions in 2014. Finally! 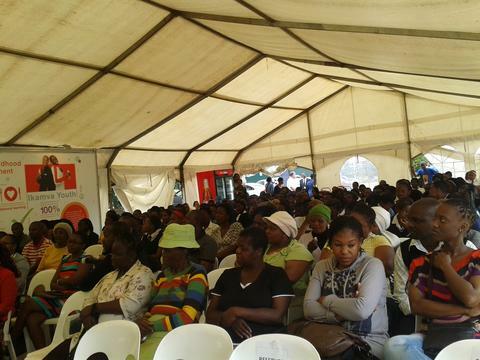 The Mamelodi branch in Pretoria is officially opened. 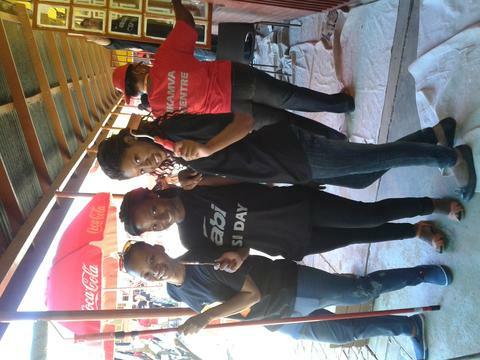 The 8th of March 2014 saw IkamvaYouth and our sponsor ABI working closely together in organising together a successful Open Day and Media Launch for the branch. 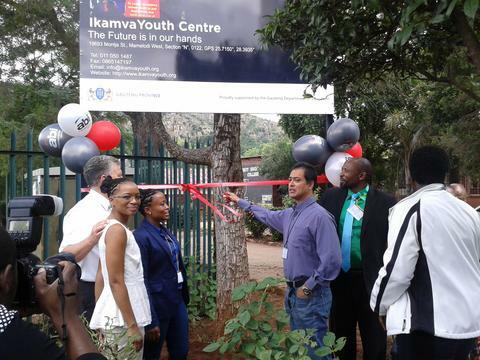 The community came out in numbers to support this initiative and so did the learners, who would not miss the day their very own branch is launched. The events that occurred prior to the branch being established were not tranquil. 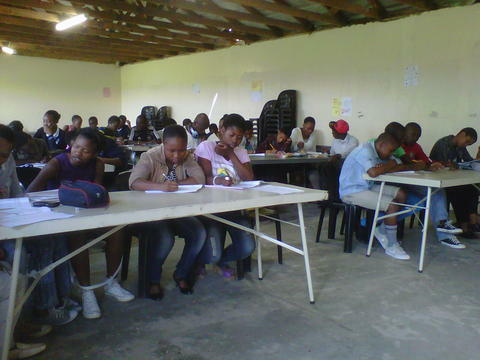 A venue had to be secured, an MOU had to be signed, and learners needed to be recruited from the surrounding schools. For a branch to fully function, volunteers have to also be recruited. The day started off with our energetic MC Tshegofatso Thulare, Ivory Park Branch Coordinator, welcoming everyone and thereafter introducing Mr Jokazi. He is the principal of the college from which the branch is based. He started off by giving a warm welcome to everyone present and him reiterating the importance of education and the history of the college. The college at which the branch is based was a primary school years ago which was then left vacant and thereafter devastatingly vandalised. 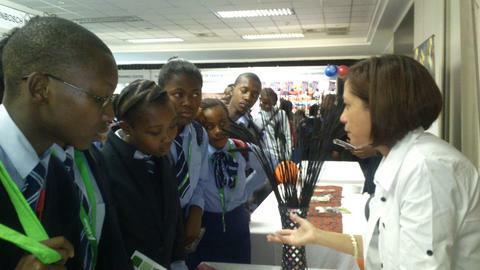 The college was established a few years ago and its role in the community is of high relevance. It serves as an Adult College which also seeks to assist and provide education to township learners who’s aim is to access tertiary and/or the equivalent. The college is called The Mamelodi State Centre for Adult Education situated in Mamelodi West, N Section. Plenty of speeches were delivered that day, Patrick Mashanda the District Coordinator informed everyone about the IkamvaYouth model and how we work and how it then results to the impact we have had for the past ten years. Zamo Shongwe our National Coordinator gave an informative talk about the culture of volunteerism and the effect and benefits it has in one’s life. She also mentioned how volunteers contribute to the running and daily operations of a branch and in doing that one then gains skills which then adds to their career development. Helen Makhubela an alumna gave a motivating and encouraging speech to the learners, she attested on the impact IkamvaYouth has on the learner and one’s academic and social life in its entirety. She was then followed by her mother who also informed us about the changes in which she saw in her daughter after months of joining IkamvaYouth. Many faces lifted up as she spoke about her daughter and how proud she is of her especially when boasting about the bachelor degree pass in matric her daughter obtained after 3 years of IkamvaYouth. 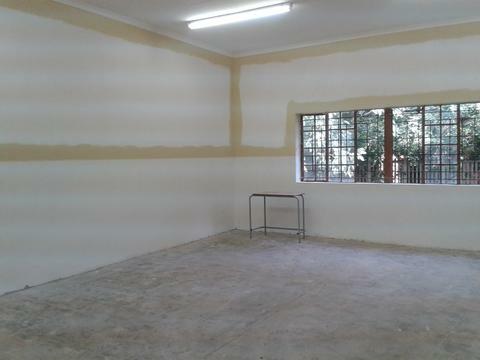 As mentioned above when we first saw what was to be Mamelodi branch, the block in which we were supposed to work from was vandalised to the extreme and the space was uninspiring for an IkamvaYouth branch, to say the least. Our sponsor ABI came in and viewed the space and happily agreed to refurbish the block of classrooms, computer lab and office space. That left us with a space that stimulates and cultivates learning. 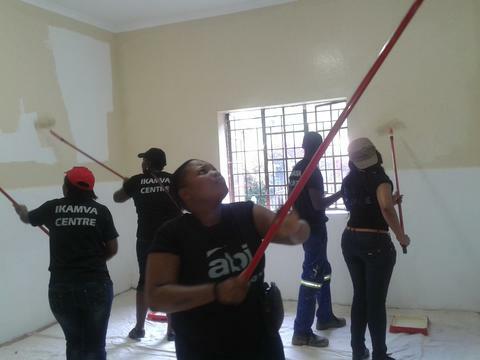 After most of the renovations had been done, ABI brought in their employees and Ikamvayouth theirs, to come in and add final touches to the branch by painting and trimming the walls, a day which they call CSI Day. 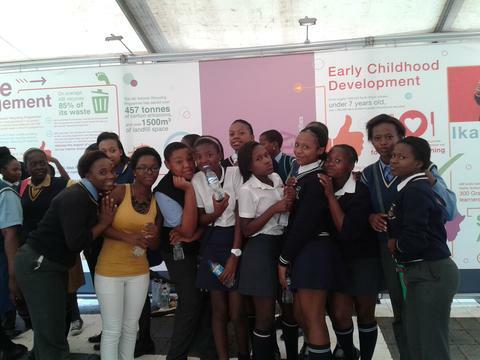 This took place on the 13th and 14th of February 2014 which we all boast was a successful event. Peirre Bleeker the ABI General Manager for the North Region also shed light on the ABI CSI department in its entirety during the Open Day. He mentioned the amount of work that goes into this department, the selflessness of ABI employees who give off themselves in every project that they are involved with was the greater part of his speech. 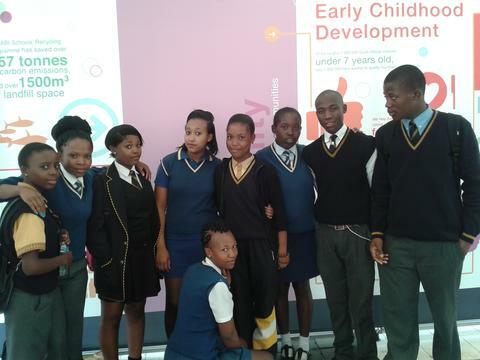 For any branch to sustain and create the impact it aims to create a relationship with the Department of Education in that region has to be established and this was successfully done in the Mamelodi branch in Pretoria. On the day, Department of Education official, Pranay Devchand engaged us in his speech which he emphasised to the learners the importance of having confidence in themselves, taking ownership for your future ,academics and importantly for them to aim high and to give it all they have got as they are the future of this country. The day ended with Cheryl Nzama, Branch Coordinator for the Mamelodi branch thanking everyone that had supported the day and importantly the learners and volunteers who willingly joined the program. She then reiterated to the learners that everything does start with you and it’s up to the learners to set their standards high for the newly opened branch as they are the first cohort of learners ever. Afterwards the signage for the branch which stands right next to the main entrance was revealed. We would like to thank everyone, partners and stakeholders, school principals and learners that assisted in making this day a success and playing their part in ensuring that the branch is sustainable, resourceful and importantly inspiring and conducive to learning. The Community Collaboration Project (CCP) was launched at a 2 day training weekend at the end of January 2014. 25 representatives from 11 organisations came together for a weekend of instruction in theory and methodology, practical advice and guidance, and discussion about how we can face our shared challenges together. Please read the manual for information about the training session. Participating organisations; Ikamva Labantwana Bethu, SALT, Amandla Edufootball, EWB, Fundisa Primary Fund, Grasroots Boxing, Nebula Skateboarding, Masakhaneni Community Development, Sozo Foundation, UPDP, Institute for Change, Axium, Communiversity, and Etafeni. Collaboration doesn’t come easily to most of us. We have too long a history of perceiving the world and organising ourselves within it, ‘hierarchically rather than democratically, to compete rather than collaborate, to listen to authority over intuition, and to be subjects rather than active citizens’ Tana Paddock (Organisation Unbound). We were all there to collaborate and make Vision 2030 a reality. The term ‘collaboration’ is spoken of more and more in the profit and non-profit sectors, but the actual process of how we can collaborate while pursuing our own agendas is much harder to actually implement and achieve. The aim is to reach a mutually beneficial compromise, which is by definition, extremely difficult. Yet there is hope! People are recognising the need to collaborate in order to succeed and sustain. The boundaries that we have built to protect ourselves are being dismantled slowly but surely. The realisation that together we are stronger, better, and will inevitably last longer has led to a growing number of trusting relationships developing between organisations. Collaboration requires a huge amount of trust as you have to let other organisations into your world and you are required to enter theirs. It is all very uncomfortable at first, but as wise people have told me ‘you have to lean into the discomfort’. So we are. It is exciting to see so many people from different communities all trying to do the same thing, which is ultimately to build a better future for South Africa’s young population. By connecting these organisations and providing a space for conversation a number of challenges have already been addressed. One inspiring example was the donation of 60 Answer Series books from an organisation with surplus to one with a shortage. This is exactly what the collaborative community is designed to be; a community of people working together and sharing their resources and expertise to reach a collective goal. We can only do this if we work together with other like-minded organisations and individuals who are also committed to the ambitious aims of Vision2030. Through collaboration we can make better informed decisions, leverage (not exploit) the fruits of others labours, vocalise and publicise solutions, share best practice, reduce the number of ‘failed’ projects, and replicate positive change. Collaboration makes sense, but what does it look like? Well, the collaborative community are going to work it out. If you are interested in running tutoring programmes in your community, can identify an area for intervention, would like some advice and guidance on your project, want to invest in a project, or have a collaboration idea that will contribute to the attainment of Vision2030 we NEED to hear from you.